The gusty west winds produced a Short-eared Owl and 9 Franklin’s Gulls this morning, October 29. 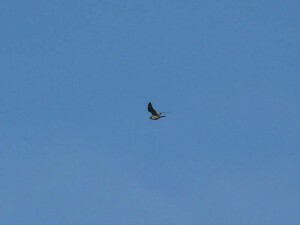 The owl flushed out of the dunes and the Franklin’s flew south over the east end of the beach. I only spent an hour in the field so I imagine there were more Franklin’s moving. I also had a Greater Yellowlegs on the beach, a Wilson’s Snipe in the dunes, 2 Snow Buntings, and 15 or so Pine Siskins at the point. 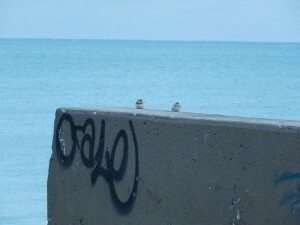 The Snow Buntings posed obligingly on the fishing pier for a photograph (try to ignore the graffiti). 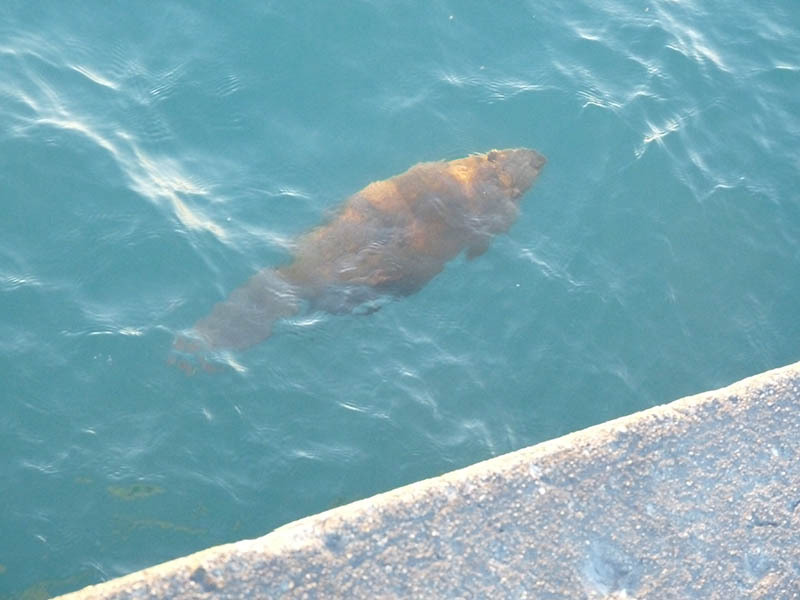 This entry was posted in Fall Bird Reports and tagged Franklin's Gull, Gulls, Longspurs, Owls, Shorebirds, Short-eared Owl, Snow Bunting, Wilson's Snipe on October 29, 2015 by rhughes. 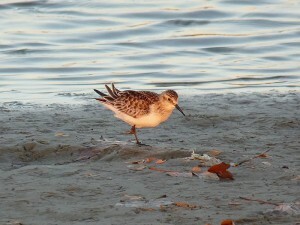 I had a late juvenile Baird’s Sandpiper this morning, October 18. This is over a month past their peak time of occurance. I also had a first cycle Franklin’s Gull on the beach and 6 Lapland Longspurs in the dunes. Other landbirds seen include 2 Purple Finches, several Pine Siskins, and a few Orange-crowned Warblers, in addition to the usual mid October fare of kinglets, Hermit Thrushes, Winter Wrens, and White-throated Sparrows. 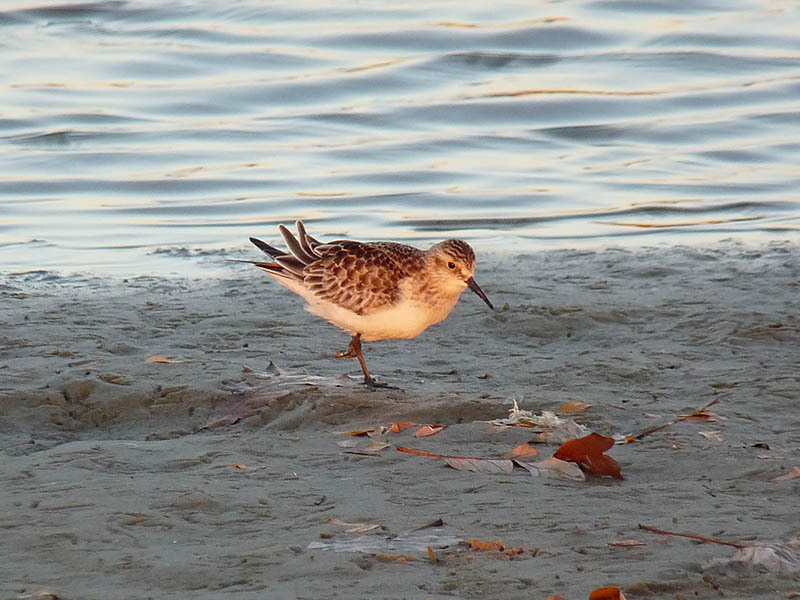 This entry was posted in Fall Bird Reports and tagged Baird's Sandpiper, Finches, Franklin's Gull, Gulls, Lapland Longspur, Longspurs, Purple Finch, Shorebirds, Winter Wren, Wrens on October 19, 2015 by rhughes. I had a late Common Nighthawk flying over the beach on the afternoon of October 10. This is about a month past the peak of fall migration for this species in northern Illinois and probably the latest I’ve had at Montrose. This entry was posted in Fall Bird Reports and tagged Common Nighthawk, Nightjars on October 11, 2015 by rhughes. 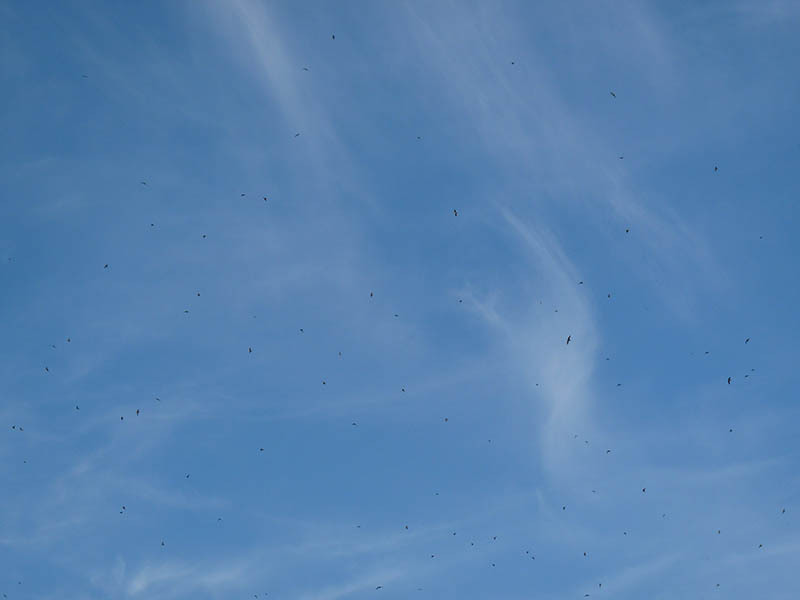 Chimney Swifts started moving through the Chicago area in big numbers in late September, and as I write this in early October are still on the go. I captured this group as they swarmed over the point on their way south. This entry was posted in Fall Bird Reports and tagged Chimney Swift on October 11, 2015 by rhughes.